The five wind energy facilities: Nxuba, Oyster Bay, Garob, Karusa and Soetwater, have a capacity of around 140MW each. 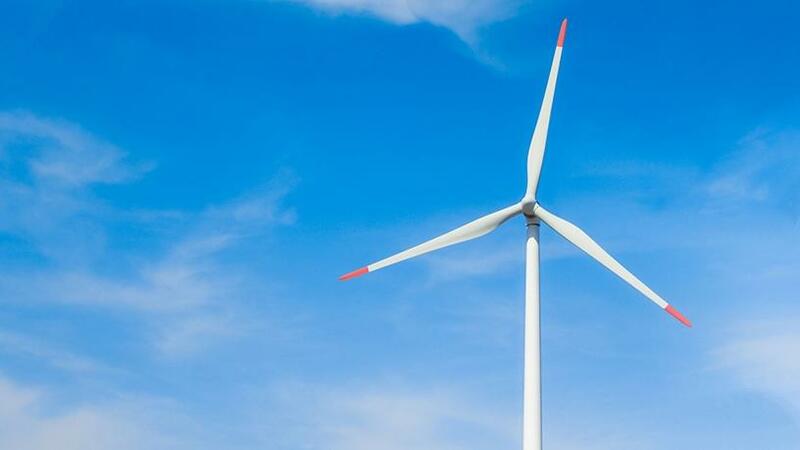 Italian multinational energy company, Enel Green Power SA, has signed financing agreements for five new wind projects worth EUR1.2 billion (R18 billion). The financing agreements were signed with lenders from Nedbank and Absa, who will fund up to 80% of the overall investment of around EUR1.2 billion on the five new wind projects, with a total capacity of about 700MW. The five facilities, namely Nxuba, Oyster Bay, Garob, Karusa and Soetwater, have a capacity of around 140MW each. The Enel Group is contributing around EUR230 million in equity in the construction of the five wind farms. Following the signing of the agreements, also known as "financial close", construction of the first project, Nxuba, is expected to start by the end of 2018. "We have reached an important milestone in South Africa by achieving financial close on five major wind projects, which confirm our continuing commitment to the country's renewables sector, within a context of sustainable development," says Antonio Cammisecra, head of Enel's Global renewable energies division, Enel Green Power. "Enel Green Power will be supporting these processes by generating its emission-free energy in partnership with local shareholders and in co-operation with the local communities, according to our long-term vision of shared value creation." The deal comes after SA's department of energy signed the outstanding 27 renewable energy projects with independent power producers. These deals are valued at about R58 billion. Last month, UK-based power developer Globeleq also reached a definitive agreement with an affiliate of New York Stock Exchange-listed Brookfield Asset Management to acquire majority stakes in six South African-based renewable energy projects with combined capacity of 178MW. In the Enel deal, the Garob, Karusa and Soetwater projects will be constructed in the Northern Cape province, while the Oyster Bay and the Nxuba wind farms will be built in the Eastern Cape province. The five wind farms were all awarded in round four of the South African government's Renewable Energy Independent Power Producer Procurement Programme. Each project is minority-owned by a local partner. Following the start of construction of Nxuba, construction of Oyster Bay and Garob is expected to start by the first half of 2019, and construction of Soetwater and Karusa is expected to start in the second half of the same year. Nxuba is expected to be operational in the second half of 2020, Oyster Bay in the first half of 2021, and Garob, Soetwater and Karusa in the second half of 2021. By 2021, the five wind farms are due to be up and running, bringing Enel Green Power's total installed capacity in the country to more than 1.2GW. Once operational, the five projects are expected to produce around 2.6TWh each year, saving the annual emission of roughly 2.7 million tonnes of CO2 into the atmosphere, says Enel.